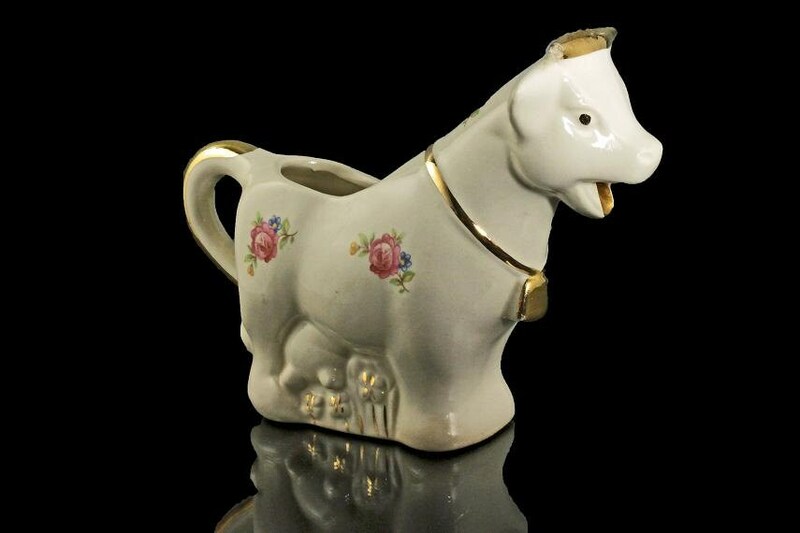 A charming porcelain cow or bull creamer. 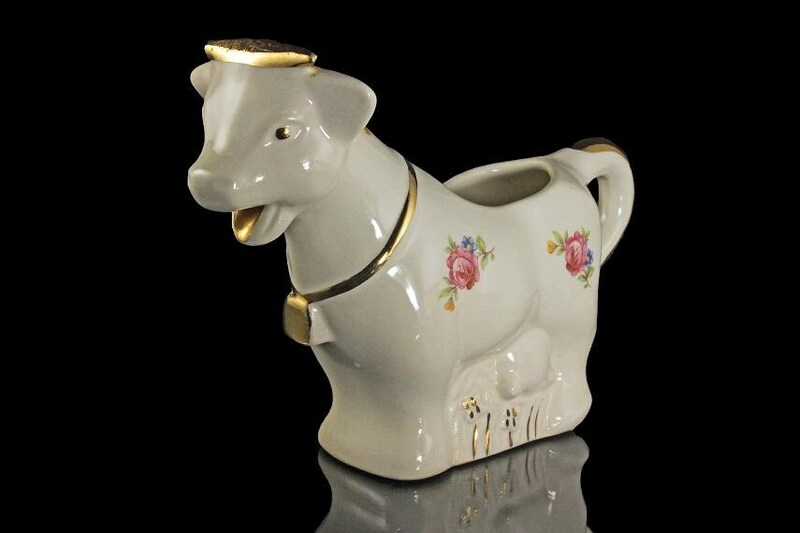 The cow is white porcelain with pink roses on both sides. He has gold on his tail, around his neck, in his mouth, and on his top horns. 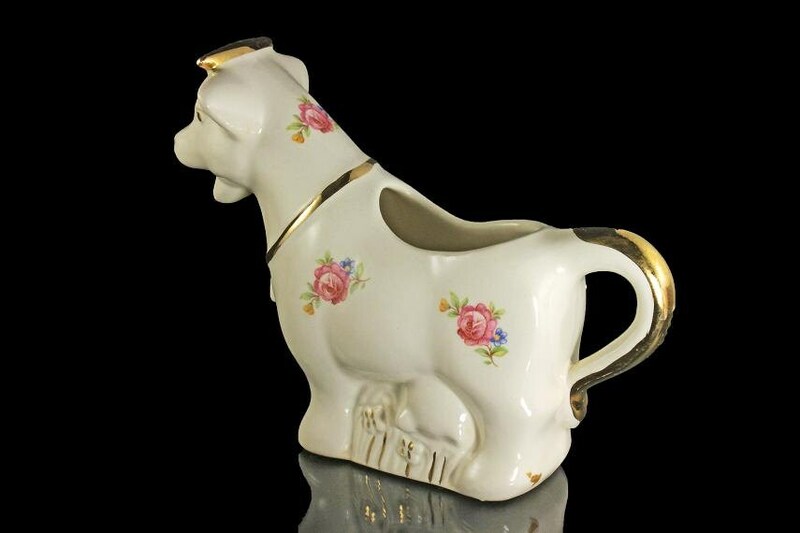 This would be a delightful addition to any country or farmhouse decor. These are very collectible. 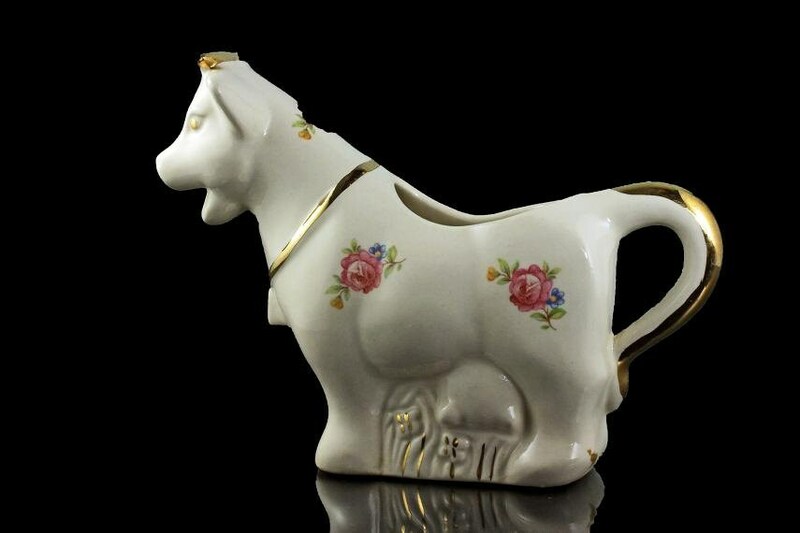 This vintage cow creamer is in very good condition. There are no cracks or crazing. 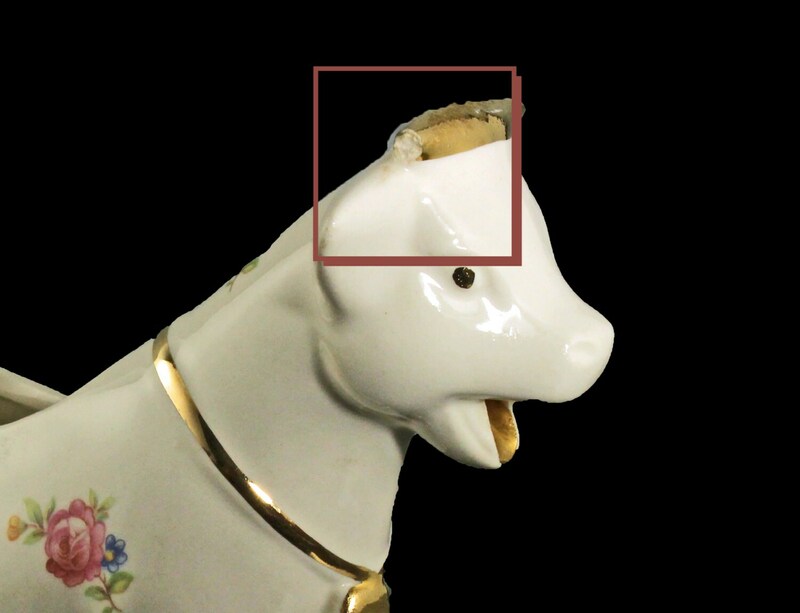 There is a chip on his gold horn at the top of his head (See Photo 5). He is looking for a new home and it could be yours.